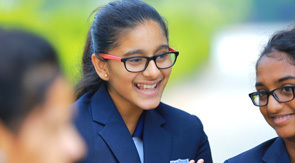 The mission of the Manchester International School Career Development Centre ( MIS - CDC) is to prepare our diverse student and alumni population for success in their present and future careers by providing significant resources to explore, discover, develop, and pursue their personal and professional goals as well as to facilitate their connection to university opportunities that match those goals. The Manchester International School Career Development Centre ( MIS - CDC) provides numerous resources to assist students in their career development including career exploration tools, presentations and workshops, individual career consulting, as well as strategies for finding jobs and internships. In addition, Manchester International School Career Development Centre ( MIS - CDC) organizes the universities fair in the campus periodically. The role of the Career Development Center is to act as a catalyst for students – giving them the tools and resources they’ll need to engage in lifelong career planning and make sound career decisions. What are key areas students need to work on while preparing for their career? Ability to articulate and provide examples of how an individual’s interests, values, personality type, and skills are pertinent to one’s career path. Have realistic expectations and potentials. Establish a purposeful and realistic career plan with measurable goals. Obtain relevant soft skills, hard skills, and experience prior to high school graduation. Knowledgeable about industries and labor market, salaries, geographic location, and cultural diversity. How to develop results oriented career, application and documentation process for the universities.